I know.. summer doesn't actually end until late September. But to me, Labor Day is the end of unstructured, carefree family time and vacations. 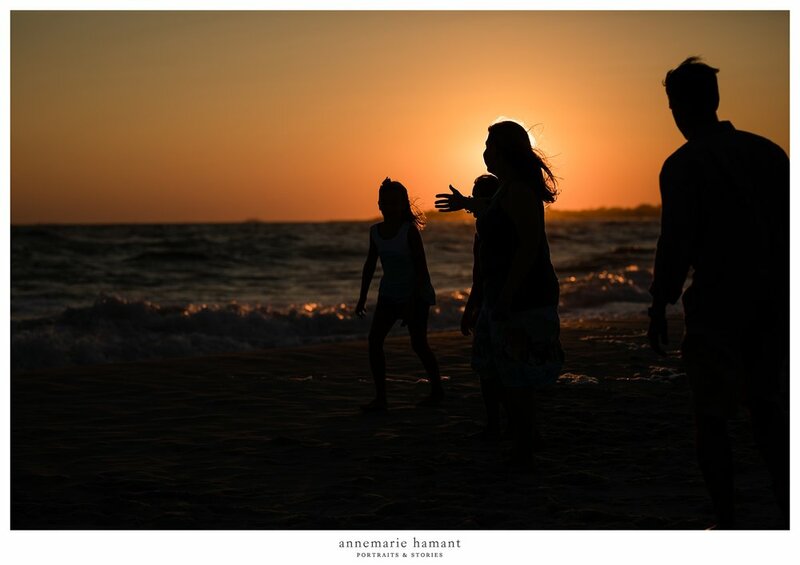 Capturing this family's last day of their beach vacation in Cape May New Jersey was the perfect end to my summer season. One thing I love about Cape May is how you can capture that beautiful sunset light over the water, unlike most east-coast beaches. I also just love the character of the town! Victorian houses, a pedestrian mall filled with cute shops and eateries, and my favorite find on this trip- the very best ice cream sandwiches at Peace Pie! I love playing with the deep shadows and harsh light of the early evening- to me that is part of the fun of summer light, especially to capture the whimsical fun of a walk around town. And the bond between these sisters so close in age is just the sweetest. After our romp around town, we headed over to the Cove beach in Cape May. It is a beautiful spot that gets a perfect view of the lighthouse and sunset. 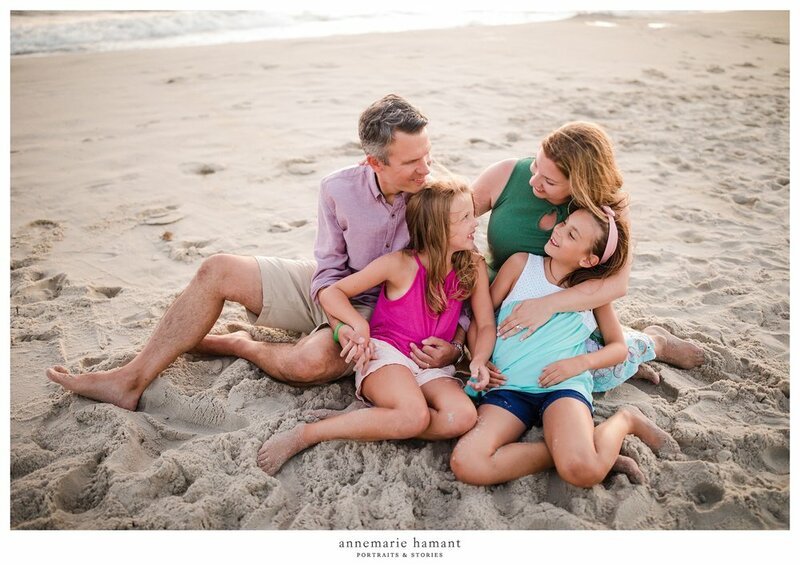 This family was so playful and affectionate- I just love the connections we captured during our time together. It was the perfect way to end the summer! If you love my work and would like your family vacation to be documented, I love to travel for sessions! Please inquire if you'd like to book a destination portrait session with me!